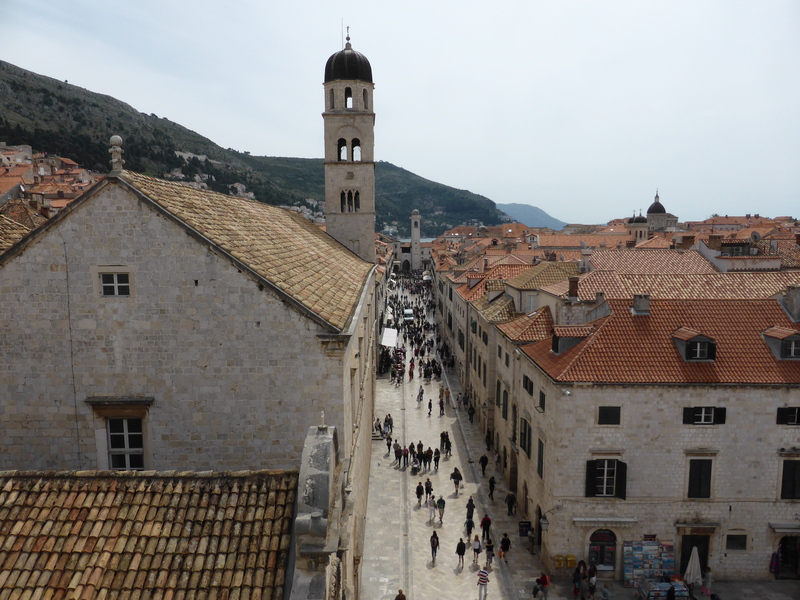 Dubrovnik Old Town is simply spectacular. High stone walls, narrow streets, beautiful views. The Old Town was apparently badly damaged from shelling in the 1990s but you really couldn’t tell today; everything is pristine. It’s obviously geared towards tourism but not as in your face as other places. Exploring the alleys of Dubrovnik is and up-and-down experience (literally, there are lots of steps) but it’s nice to find the hidden restaurants and bars and also to see the signs that real people live here and have gardens and do laundry and that the whole town is not just a dedicated tourist attraction. 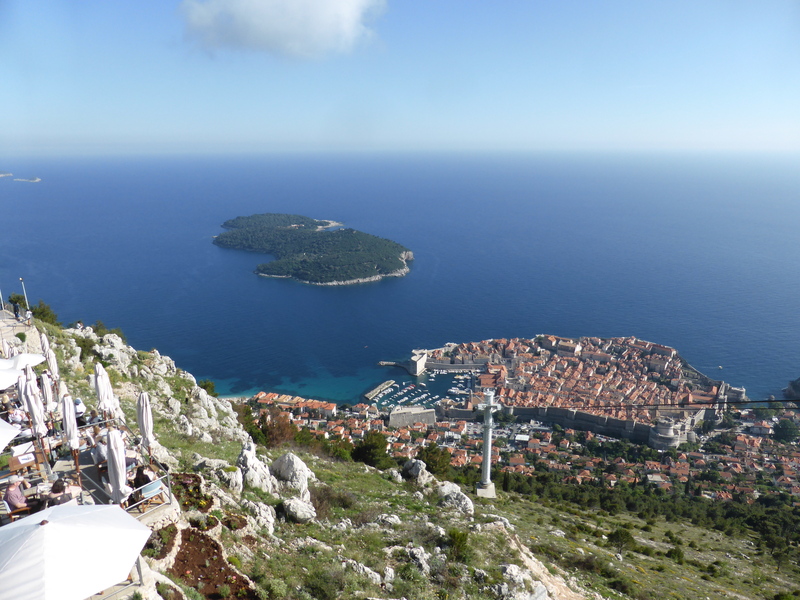 An excellent way of seeing the city in its entirety is to take the cable car up to the top of Mt Srd where you can find a restaurant with terraces offering spectacular views of the Old Town below, the sea and the neighbouring islands. The fort on top of Mt Srd was a stronghold of the Croatian troops during the war of 1991-95 and now contains a museum dedicated to that time appropriately called Dubrovnik During the Homeland War. The exhibits were quite harrowing for me as it’s disturbing to see images of burning and collapsed buildings that you visited just a few hours before. As I said Dubrovnik has now been restored to its former glory but that just makes you realize why, at the time of the conflict, Croatians did not believe that the Old Town itself would be a target for attack. The city walls were built in Napoleonic times and thus not designed to withstand modern munitions but they held up well. A walk round the walls is a great way to get a different perspective on the Old Town. A lot of steps but the Old Town itself isn’t flat so that’s not surprising. Easily completed in under an hour, I walked round first thing in the morning to avoid the crowds and the heat. Another tactic to avoid the heat was a visit to the forested island of Lokrum. (I think I’m meant to make some kind of GoT reference here but as I’m clueless, I will move swiftly on.) Lokrum is a popular spot for swimming but also has some great walks, a botanical garden and a Benedictine monastery with a cloister garden. Best of all it is an island and I got to go on a boat (you will see this as a theme through this trip – show me a boat and I find a reason to go on it, I love being on the water). Obviously Dubrovnik is not only the Old Town, there is a large peninsula to the north of the city walls and this is where many of the more beach-type hotels are situated. 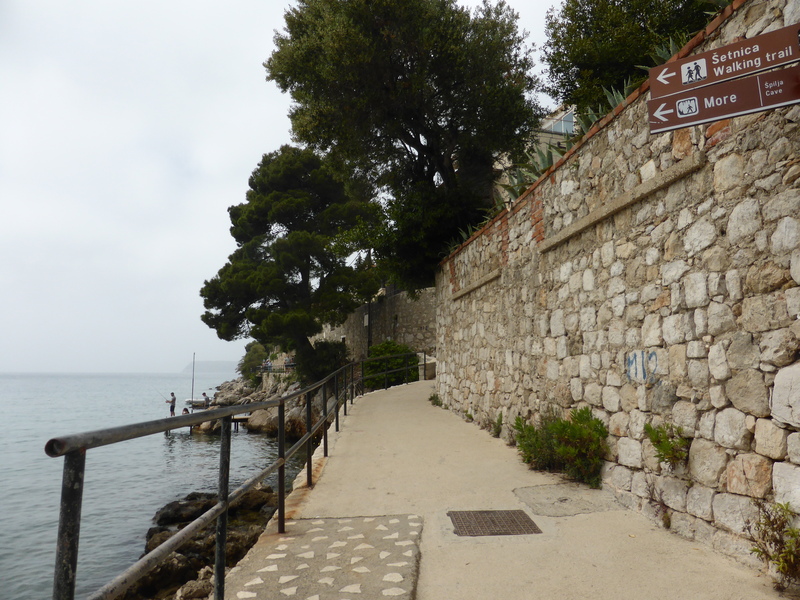 I had a very pleasant time exploring the areas of Lapad and Babin Kuk, including a lovely coastal cliff walk between the two. I found a fantastic restaurant in Lapad (Pantarul) and had one of my best meals in Dubrovnik. The standout meal though was the local oysters I had at Bota Sare Oyster & Sushi Bar which were simply exquisite. I followed them with sushi and sashimi which wasn’t what I originally thought I’d find myself eating in Dubrovnik but I followed a recommendation in my guide book and did not regret it. Overall the food I had while in Dubrovnik was pretty good, if a little pricey. 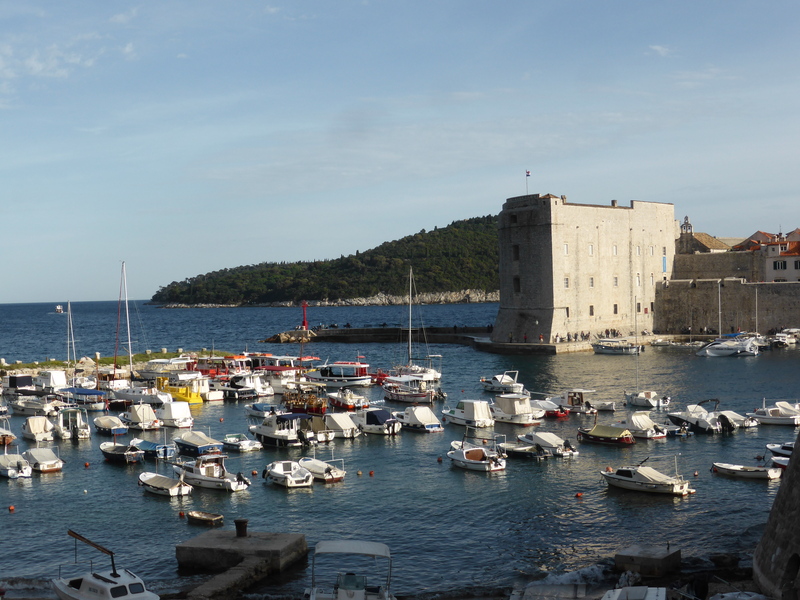 I had been congratulating myself for coming to Dubrovnik at the beginning of the season and thus avoiding the crowds. Until my last morning that is. All luggaged up, I headed through the Old Town for a final stroll on my way to the bus station and met a wall of people. 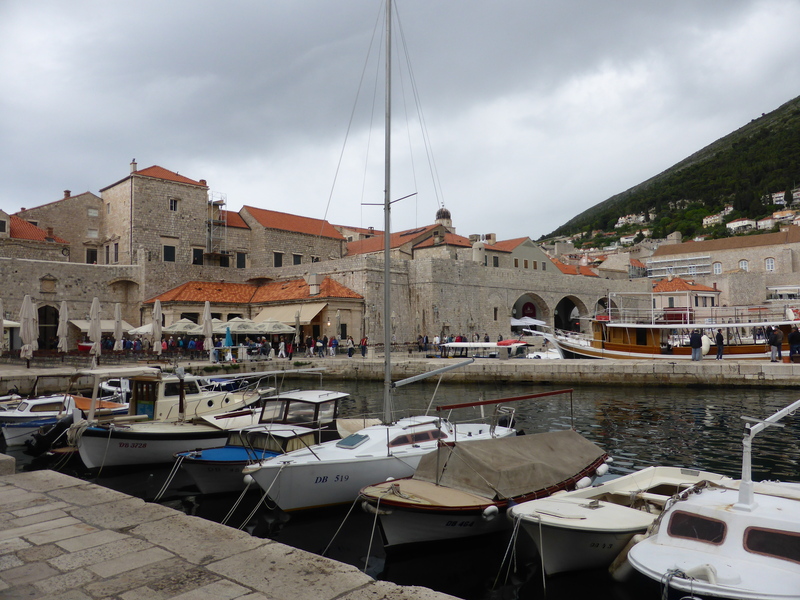 I am seriously not sure I have seen that many people in one street before and the reason became clear as I reached the bus station and saw the size of the cruise ships moored in Dubrovnik that day. I have to admit, I didn’t mind leaving, which may not have been the case on a different day.